input range is also shown. Figure 9 shows a simplified analog input section of the ADC. input ranges can be obtained. used to protect the part. signal between the output of the resistive scaler and INGND. up of some serial resistor and the on resistance of the switches. and limits the noise coming from the inputs. avoid gain errors. That can be done by using the driver amplifier. driven directly by a low impedance source without gain error. 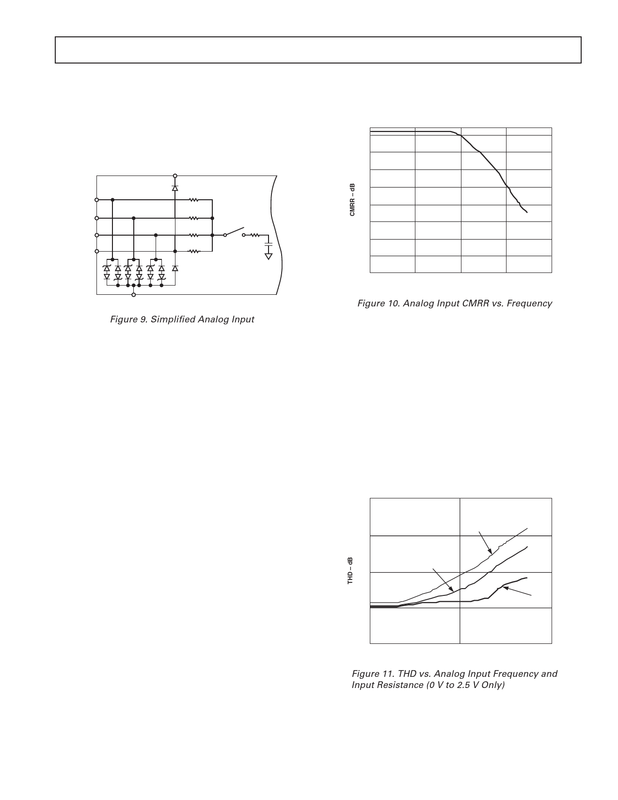 input frequency, as shown in Figure 11.